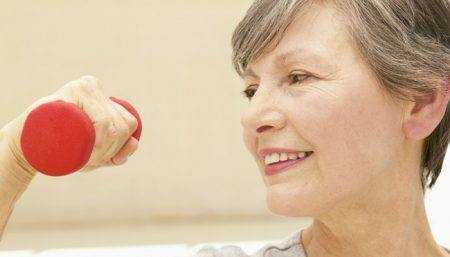 When women “of a certain age” enter the stage of life called menopause, they can experience a range of discomforting symptoms. If you or someone you care about is having a hard time dealing with this natural stage of life, there are a number of foods and supplements you’ll want to know about. Nutrition can ease a woman’s journey through this natural biological phase. Mayo Clinic describes menopause as the end of female fertility. A menopausal woman no longer sheds eggs or menstruates. Menopause doesn’t happen all at once. In fact, the perimenopausal phase, or time leading up to the cessation of menstruation, can take several years. Once a woman has not menstruated for 12 consecutive months, she is said to be in a state of permanent and irreversible menopause. In the United States, the majority of women enter menopause around age 51. This number is not set in stone. Some women experience the first symptoms of perimenopause in their 30s. Some women have periods into their sixties. Menopausal women are more prone to osteoporosis than women who still menstruate. Combat bone loss by eating plenty of calcium-rich foods such as tofu, yogurt, sardines and leafy green kale. Calcium is far more effective when taken in combination with magnesium, says Women’s Health Concern. According to Eating Well, a daily diet that includes lots of B vitamins may help ease the mood swings associated with menopause. Good foods to try are salmon, flax seed, whole grains and lentils. 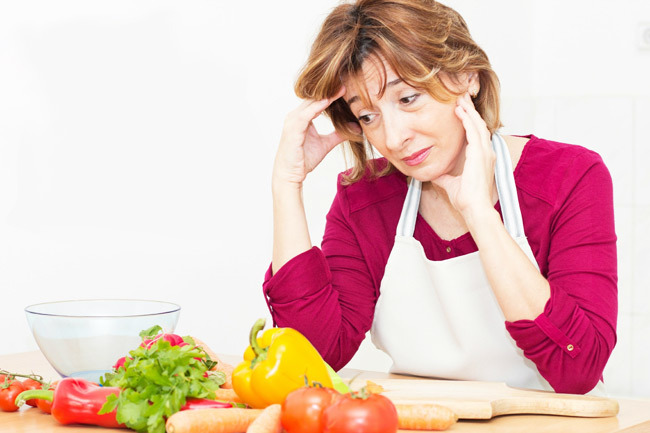 Weight gain may be one of the most difficult aspects of menopause. Stave off increased pounds and inches by adding fiber-rich foods such as apples, steamed spinach and whole grain quinoa to your daily menu plan. Feel a case of the munchies coming on? Go for a big bowl of air-popped popcorn. Seasoned with brewer’s yeast in lieu of butter, popcorn fills you up without widening your hips. 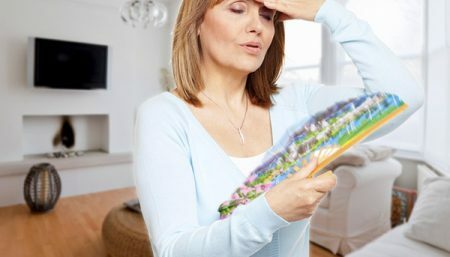 Hot flashes affect the majority of women during peri- and post-menopause. Counteract this irritating symptom by turning to a Mediterranean diet. Studies show that plentiful amounts of veggies, fruits, lean meats and olive oil help to stabilize fluctuating hormone levels. Don’t forget to enjoy a glass of red wine with dinner. 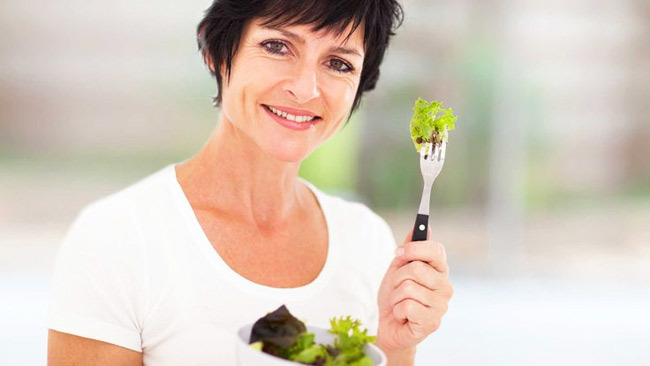 Many women find menopause symptom relief with phytoestrogen nutritional supplements. Phytoestrogens are plant-based compounds that mimic human hormones. Soy isoflavonoid supplements may be especially helpful to menopausal females. Soy-free supplements can be effective against menopause symptoms. Made exclusively for women and chock-full of isoflavone-rich red clover, flax seed and kudzu, Belle Vie caps and similar products are appropriate for women who cannot tolerate soy. 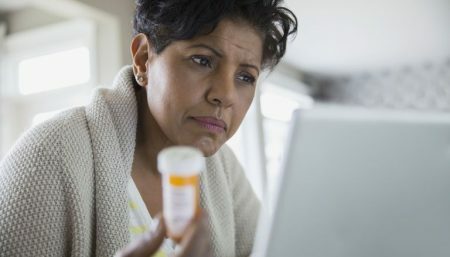 Supplements that include a compound called Gamma Linolenic Acid, or GLA, may also alleviate symptoms of menopause, especially when taken with magnesium and zinc. Antioxidant vitamins A, C and E can help to keep a menopausal woman’s immune system strong and healthy. Zinc, iron, copper and selenium supplements are also excellent immune system boosters. Foods high in zinc include pumpkin seeds, shellfish, beef liver and cheese. Meat delivers a powerful dose of iron and B vitamins. Vegetarians can get a similar helping of iron from leafy green kale, dried beans, oatmeal and dried fruits such as apricots, figs, dates and raisins. If a female human lives long enough, she will, eventually, experience menopause. It’s natural biology and nothing for her to fear. In fact, this phase of life can be as rich and rewarding as her youth. Many women report a renewed interest in and enjoyment of sexual activity, due to the impossibility of pregnancy. Think of your own menopause as the third act in a beautiful, life-long play. Now is the time to be the star of your own show and accomplish things you’ve always dreamt of doing. Enact a few simple lifestyle changes, incorporate one or more nutritional supplements into your daily routine, and enjoy this remarkable phase of life.